wich kind of paper I use. then I just paste and rip and paste until I dont feel doing it any more. On a next step I over paint sections in geometrical patterns to give more deph and to accent sections I like of the Paste-Up. 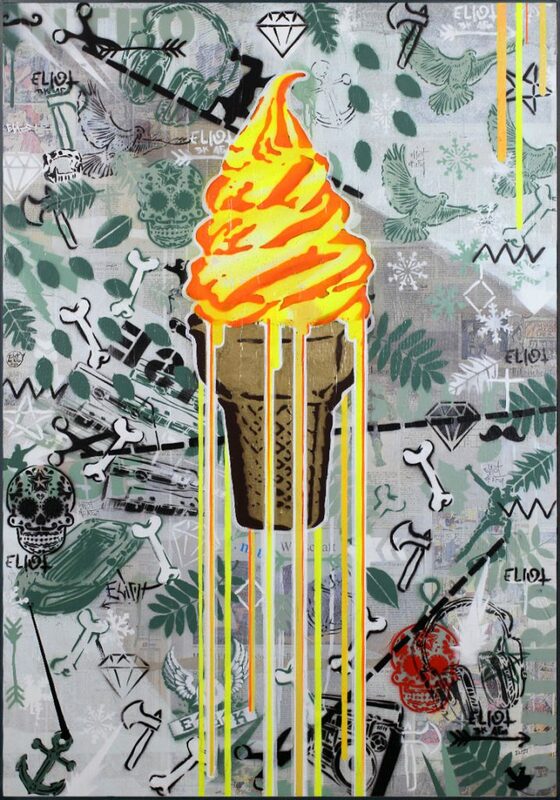 On top of this goes a layer of stencils collage of different motives and the the final “center Piece” this time a variation of the IceCream. This work is wild and needs longer breaks inbetween the steps. it is a very free form of constant building and layering until it grows into the final piece. very different than other works where the motive is all planned and layed out before becomming real.